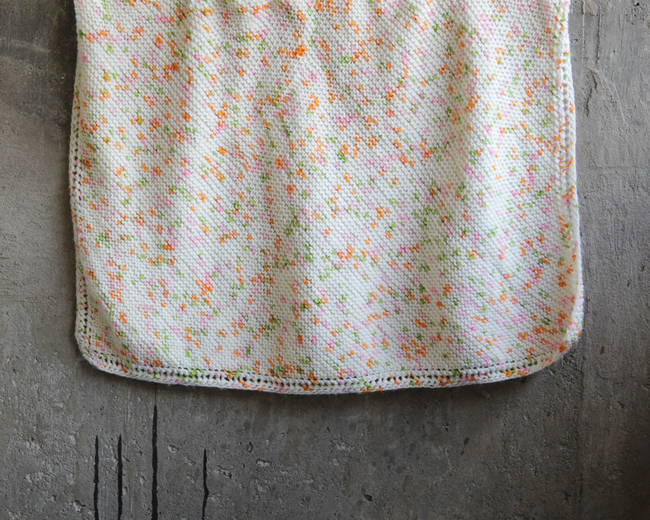 This perfectly squishy baby blanket is a relaxing and beginner friendly knit! 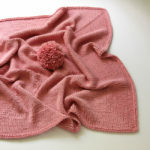 A showstopper during baby shower gift opening, a hand knit or crochet baby blanket makes one of the best gifts. They’re often simple and fun to whip up, and they give you a great excuse to make something cute. 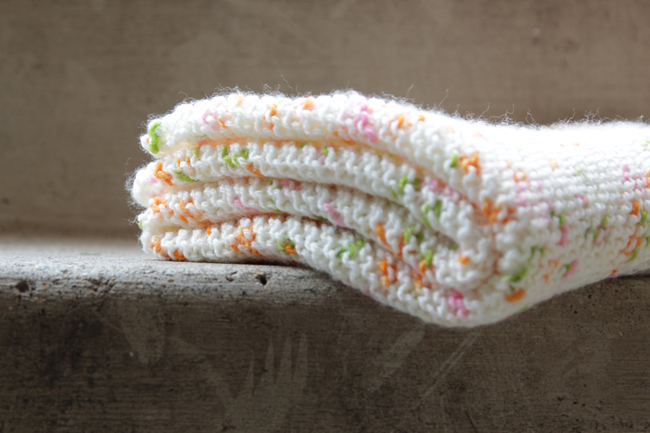 The Peas & Carrots Baby Blanket definitely checks both the fun-to-knit and cute boxes! 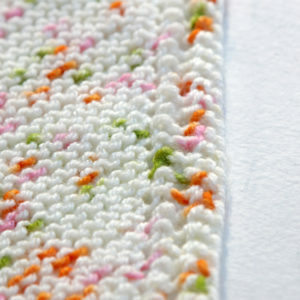 Peas & Carrots is bordered by a sturdy eyelet edging that’s great for when baby wants to hang on to his blanket by the corners. 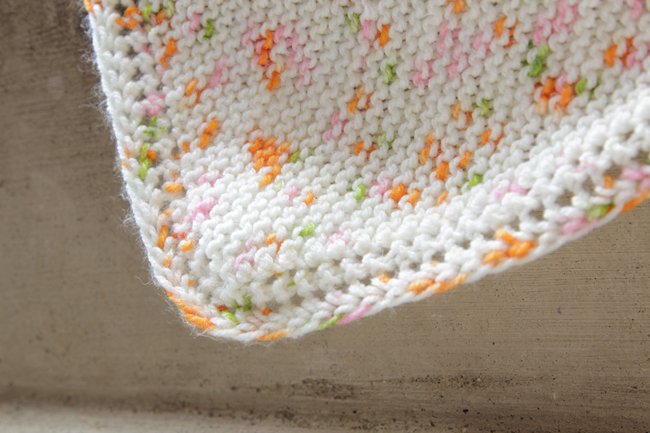 This blanket also makes the most of bias knit garter stitch which is pretty to look at and cuddly to touch. Have I convinced you to cast this on yet? New to working on the bias (a.k.a. diagonal)? I’ve got some tips for success right here. 3, 5 & 7. sl 1 wyif, k to last st, k1 tbl. 8. sl 1 wyif, yo, p2tog, k1, yo, k to last 4 sts, yo, k1, yo, p2tog, k1 tbl. 9. sl 1 wyif, yo, p2tog, k to last 3 sts, yo, p2tog, k1 tbl. Repeat rows 8-9 until you’ve nearly run out of skein one (or to desired width). Join second skein and continue as follows. 10. sl 1 wyif, yo, p2tog, k1, yo, ssk, k to last 6 sts, k2tog, yo, k1, yo, p2tog, k1 tbl. 11. sl 1 wyif, yo, p2tog, k2, ssk, k to last 7 sts, k2tog, k2, yo, p2tog, k1 tbl. Repeat rows 10-11 until 13 sts remain. 14. sl 1 wyif, yo, ssk, k to last 3 sts, k2tog, yo, k1 tbl. Repeat 14-15 until 5 sts remain. 17. sl 1 -k2tog- psso. Break yarn and draw tail through final loop. Weave in all ends and wet block to finish. Not feeling the love for this particular baby blanket? 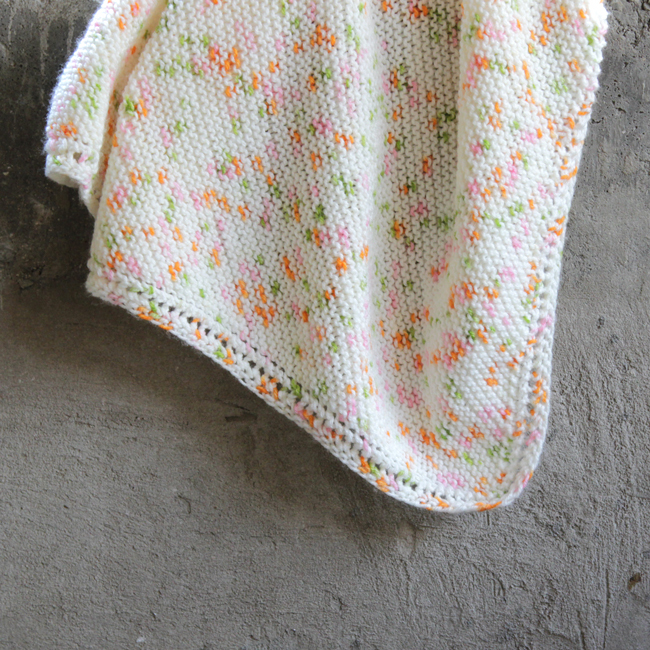 I’ve got a couple more free baby blanket patterns you might prefer: Staggered Holes Baby Blanket / Basketweave Baby Blanket. 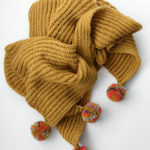 And if you’re on a big time crunch before that baby shower, you could try knitting a hat instead: Little Hearts Hat / Little Sprout Hat / Declan’s Hat. Baby knits are the best! Cannot wait to give this a try. Are you happy the way the corners worked out do they look even. I love this and am going to give it a try. 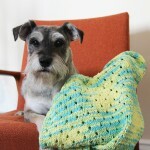 I’m a crocheter who started off trying to learn to knit, but never really got the knack. I really want to give it another chance. Can you tell me if the P in your pattern means Purl? so P2TOG would mean purl 2 sts together? Thanks for this pattern, wish me luck! You’ve got it! I’ll add that to the abbreviations as well as ssk, which means slip as if to knit, slip as if to purl, then knit both sts together. Good luck! Also… what does SSK mean? I want to try this pattern to make a car seat size blanket. I have made your staggered hole one in that size. Any thing I should know to make it smaller? Thanks for the pattern! I am going to really have to knit this precious baby blanket. This will get me back to knitting again. Love the yarn also..
i’m getting 6 stitches in row 3. isnt the yarn already in the front so basically i’m just slipping 1 purl wise? slip (1st stitch) yo (2nd stitch) knit (3rd stitch) yo (4th stitch) and kib (5th stitch) but that’s not what i’m getting. the first stitch looks like 2 so that’s where the 6 is coming from?. orrr do i count both as 1 stitch???? i’m confused. Do you mean row 2? For row 2, you should be slipping the first stitch, yarn over, knit 1, yarn over again, then finish by knitting one through the back loop, for a total of 5 stitches. The slip 1 with yarn in front followed by a yarn over at the beginning of the row can be a little tricky if you’re new to it. Also, in knitting, you should slip all stitches purlwise unless indicated otherwise – perhaps you’re slipping knitwise, introducing a twist that’s confusing things? What does CO 3 sts mean? When you say Cast On 3 sts, do you mean just 3 stitches? Lines 8 & 9 are confusing to me. P2tog sounds as if that is a decrease. Can you explain how I should be knitting these two rows in order to get to a proper size for a baby blanket? Are. These instructions correct. I am really not a knitter… I’ve been crocheting for appx 35 years or more. I thought the Peas & Carrots blanket was also in a crochet pattern. 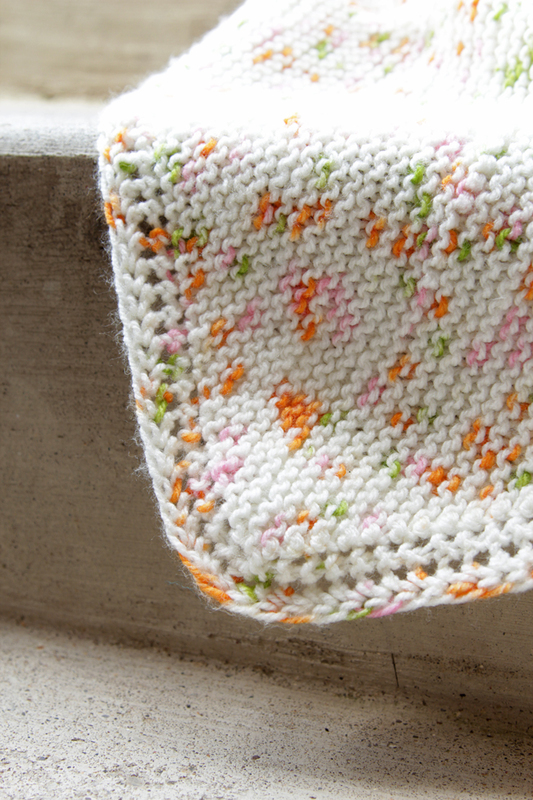 If not could you share a similar pattern of the Peas & Carrots in a crochet baby blanket pattern please. I think I could learn knitting but after years of crochet I seem to favor my right hand…guess I could learn the old English style of knitting which favors right hand. 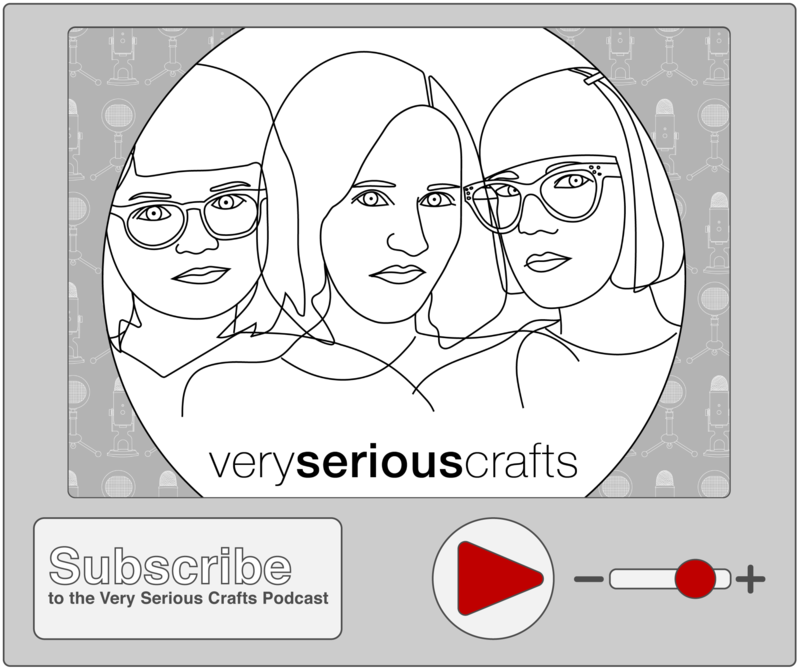 I love your designs…I make lots of baby blankets…thank you for your love of yarn design.